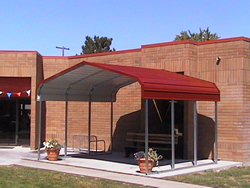 Our unique portable buildings were created by recognizing a need for a commercial quality yet affordable portable structure and developed through our industrial construction experience. We bring this level of expertise to the construction of all our structures. See photographs of our best sellers, or browse categories below. PSC Portable buildings are ideal for a wide range of uses from mini storage, relocatable mini-storage buildings, garage buildings, garden sheds, and livestock loafing sheds. 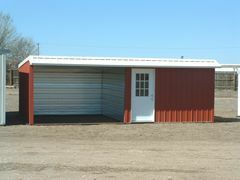 All buildings are completely portable and skid-mounted, providing for unlimited flexibility and easy relocation. Our in-house design capabilities enable us to create buildings that can exceed your expectations. Whether standard or custom sized, each building is professionally engineered and certified to meet your snow and wind loads.